More often than not, people are sued and have no extra protection to block the plaintiff from going after their personal assets in the lawsuit. To protect yourself from such a quandary, you need to have an umbrella policy. Every day ordinary citizens are served with a lawsuit, with the reasons ranging from justified to frivolous. 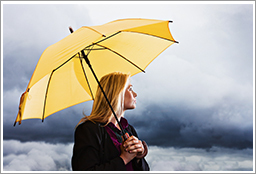 A Personal Umbrella policy will help protect your assets from this lawsuit. An umbrella policy is designed to protect you from almost everything that your home and auto insurance does not, as well as fill in gaps in coverage when the limits of your regular policy are exhausted. An umbrella policy is often referred to as excess liability. This excess liability coverage kicks in when the underlying limits on your home or auto policy have been exhausted. Depending on the company, you can purchase anywhere from 1 to 5 million dollars worth of excess coverage, sometimes as high as 25 million. Most insurance companies will not offer you the coverage unless you have both your home and auto already insured with them. Also, the insurer will require that you maintain a certain level of liability on the home and auto policies in order to qualify for the umbrella policy. The coverage is inexpensive. It is possible to obtain $1 million worth of excess liability for as little as $15/month. 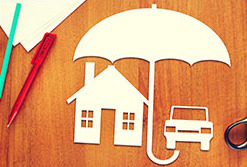 The more cars and homes you have, the higher the price for the insurance, but the cost is still low. In addition to your home and cars, liability associated with any other conveyances you may have, such as boats, motorcycles, and other recreational vehicles, may also qualify for coverage under the umbrella, depending on the insurance company. Umbrellas often times pick-up miscellaneous coverages such as Personal Injury. This includes false arrest, false imprisonment, malicious prosecution, defamation, invasion of privacy, wrongful entry, or eviction. Please feel free to contact a knowledge broker for more information on umbrella policies.